Septic system design normally involves two distinct steps. The first is soil evaluation which includes excavation of test pits, a visual assessment of soil contraints, and a determination of permeability through various prescribed test procedures. The second step is the preparation of the design drawings which may include a boundary and topographic survey. Septic system design is a specialty at Pequest Engineering. With over thirty years of field experience, we normally design dozens of systems each year. These include systems for new construction as well as for repair/alteration of existing malfunctioned systems. We have a remarkable record of system longevity because we take the care to perform both steps properly. Over the years, we have found that the majority of system failures are caused by improper site evaluation in the first place. This is why we usually have an experienced professional engineer present during the critical soil evaluation step. With systems now costing in excess of $20,000, why would you trust this evaluation to a technician? 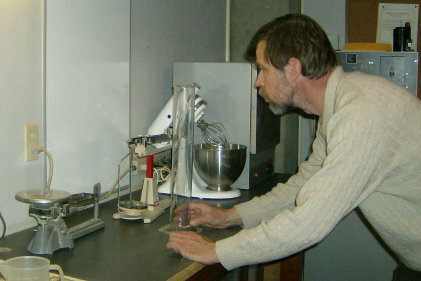 Pequest Engineeing maintains its own soil lab for prompt test results. We are capable of performing all of the recognized soil permeability tests. We also maintain in-house surveying capabilities. There is no need to rely on a third party professional to provide boundary and topographic surveying in support of the design. We also offer wetlands expertise to assure that the system is not placed in a regulated area unwittingly. Pequest Engineering can assist a Client in an initial site evaluation for a nominal fee. Once you reach the decision to proceed, we can handle all the necessary steps including coordinating Health Department witnesses, arranging backhoe service, and completing application forms. We are fully insured and we stand behind the services we perform. We enjoy a good reputation with local Health Deapartments because we do the job right. We are proud of our record in this field of endeavor.